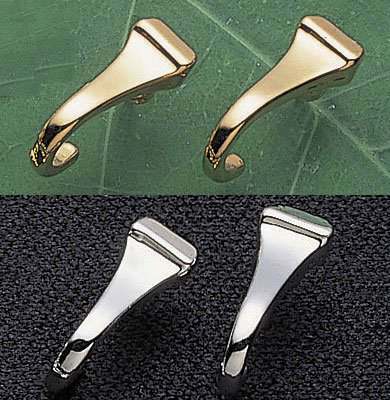 The Exselle Gold Plated Horseshoe Nail Earrings are shaped like Hoof Nails. The earrings have a 22k gold plate and like all Exselle products it comes in a blue velvet box. Comes with Titanium Hypo Allergenic Posts.